Today, President Obama elbows back into the immigration debate, making life that much trickier for the House Republicans he needs to pass it. Obama will press for immediate action, but not a specific timeline, according to one official. Sen. Chuck Schumer (D-N.Y.), a member of the bipartisan senate group, said earlier on Monday that the senators hope for a bill in March or April, and then a vote by late spring or early summer. Jennifer Rubin has real talk for reflexive conservative foes of immigrant legalization. [Ted] Cruz is now a senator and needs to do better than a bumper-sticker slogan that reform is “inconsistent with the rule of law.” Does the current system respect the rule of law? Why is it “inconsistent with the rule of law” if people pay a penalty, jump through hoops and don’t cut the line? 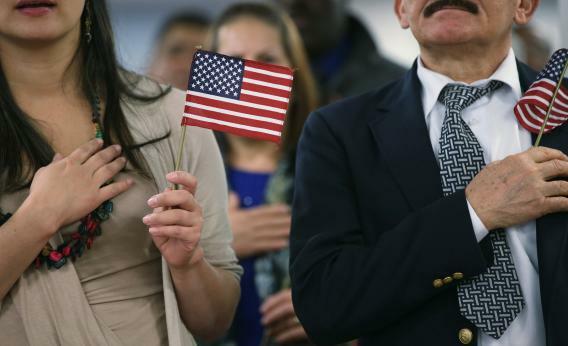 Maybe automatic citizenship with no conditions isn’t fair, but no one has proposed that. Marc Ambinder introduces the universe to the new Hillary 2016 Super PAC. ReadyForHillary aims to have its ducks in a row should Clinton decide to press go on a 2016 bid. It will serve as a virtual gathering place for supporters and donors. When prominent Democrats like Donna Brazile offer their endorsements — like Brazile did today in a tweet — the organization, which already claims close to 50,000 Twitter followers, will document them and push them out to the world. Doesn’t this sound like a buck-raking scam for consultants? If Clinton gets in, she starts with the support of her 2008 rival, his donors and his activists. But I suppose that the existence of this PAC and the non-existence of an O’Malley or Biden PAC scares somebody off, and the lack of intense, cultish support in 2008, which did so much for Obama, probably hurt Clinton.